Preview images for Jane the Virgin "Chapter Eighty-Four"
The CW has released some photos to promote “Chapter Eighty-Four” of Jane the Virgin, the third episode of the fifth and final season. Here’s the write-up and some photos follow below. 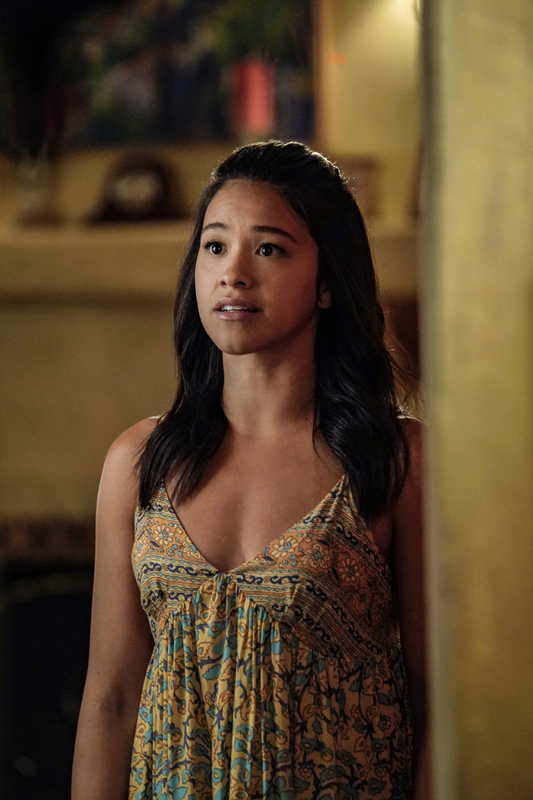 Jane The Virgin -- "Chapter Eighty-Four" -- Image Number: JAV503a_0174.jpg -- Pictured: Gina Roriguez as Jane -- Photo: Robert Voets/The CW -- ÃÂ© 2019 The CW Network, LLC All Rights Reserved.